At Mt. 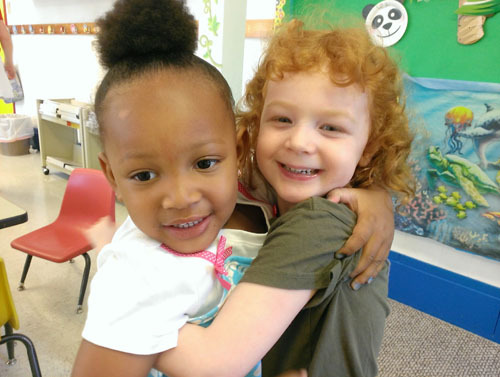 Washington Baptist Daycare and Preschool, we offer a fun, safe place where your little ones can grow and learn. We accept all ages from six weeks to school-age children, with low staff/child ratios and small group size. The purpose of our program is to provide quality care and education which is dedicated to the physical, intellectual, social, emotional, and spiritual development of each child. The daily program is planned, but flexible. Children learn from a variety of developmentally appropriate activities in all areas, with a special emphasis on our integrated Christian curriculum. Our goal is to meet the individual needs of your children. With over three decades of educational excellence in the community, we offer many benefits. The center offers a low child/teacher ratio in a suburban setting. Our qualified, professional teaching staff has years of experience in early childhood education and have designed a creative curriculum to meet the needs of each child. It goes without saying that all our staff are completely background checked. All members of the staff have at least 15 hours, or are working towards 15 hours of Child Development or Early Childhood Education each year until they have completed 45 hours of Child Development or Early Childhood Education, or a two- or four-year degree in these areas. One of our key advantages — low staff turn-over! We believe this is because our teachers love kids! Several of our teachers have been with us for over two decades. And… some of our former students, now college students, have returned to us as summer aides. The Day Care Director has a Master’s Degree in Early Childhood Education, and supervises and facilitates the monthly goals and weekly plans of the overall Daycare program. Need to share this information? Download Day Care printable brochure.